Click "Select photo". The main photo is the photo that is composed from all the small photos. When the main photo is loaded, the "Continue" button will appear. Make sure the main photo is of good quality. Select a photo with very few details and which is not zoomed out too far. A example of a good main photo is a face from up close. 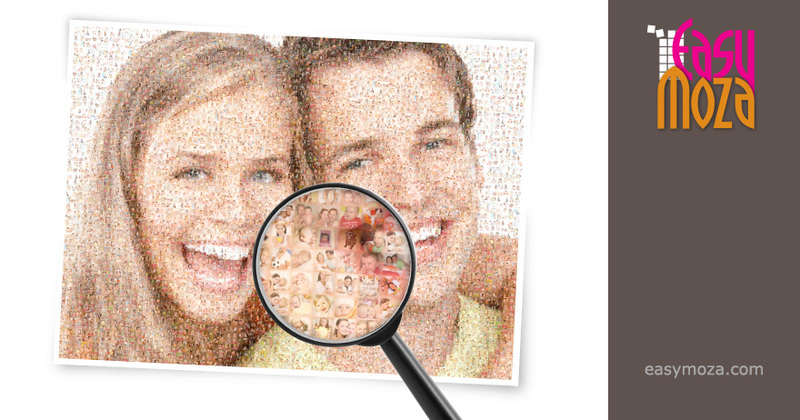 After creating your photo mosaic you can download it to your computer. Then you can print it yourself or at your local printshop.